Fire extinguishers require strict maintenance to ensure that they will work when needed and are, more importantly, safe. 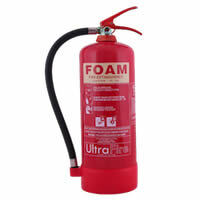 Fire extinguishers are usually pressurised vessels, which can themselves be a safety hazard if not properly maintained. If subject to corrosion or damaged, these can explode with the potential to cause serious injury or even death. According to British Standard 5306 Part 3, maintenance should be carried out by a competent person, usually a specialist contractor, 12 months after installation of a new extinguisher, and then at 12 monthly intervals. The following table shows the basic types & frequency of maintenance.